Upgrade your office wardrobe with a stylish pair of Gabardine dress work pants from Rafaella. These curvy-fit women's dress pants fit nicely on your waist, giving you a contoured silhouette and a beautifully flattering fit. 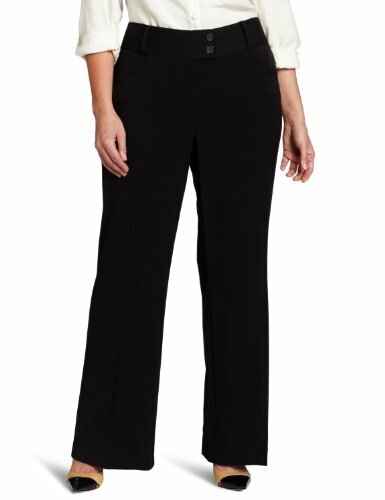 Style these gorgeous plus size pants with a dressy top and blazer for the ideal office look. If you have any questions about this product by Rafaella, contact us by completing and submitting the form below. If you are looking for a specif part number, please include it with your message.